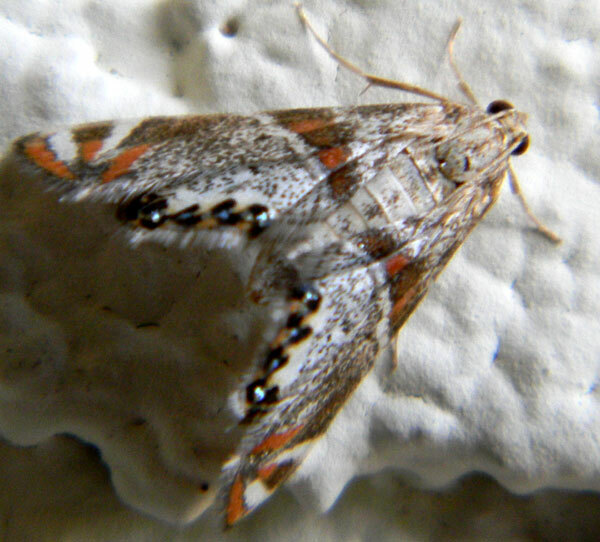 This moth was perched below a porch light in the Phoenix area about 200 m from a large irrigation canal. 11 August 2012. Surprisingly this delicate little moth is aquatic in its larval stage! The caterpillars spin a silken tube which secures them from being swept away by the current and also creates a bubble of air that serves to exchange gasses with the water. They feed on algae, or in the case of some species, submerged aquatic plants.